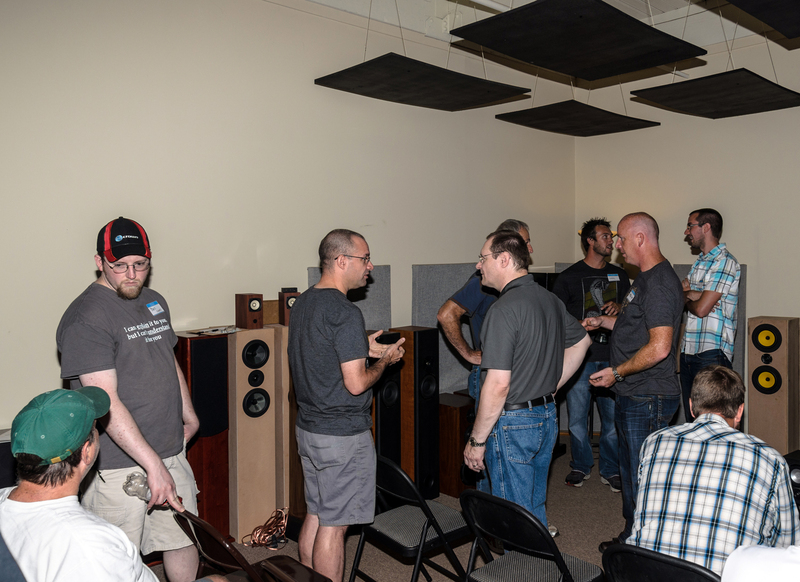 Matt Sobie arranged an informal get together at the Meniscus Audio Group headquarters in Grand Rapids. 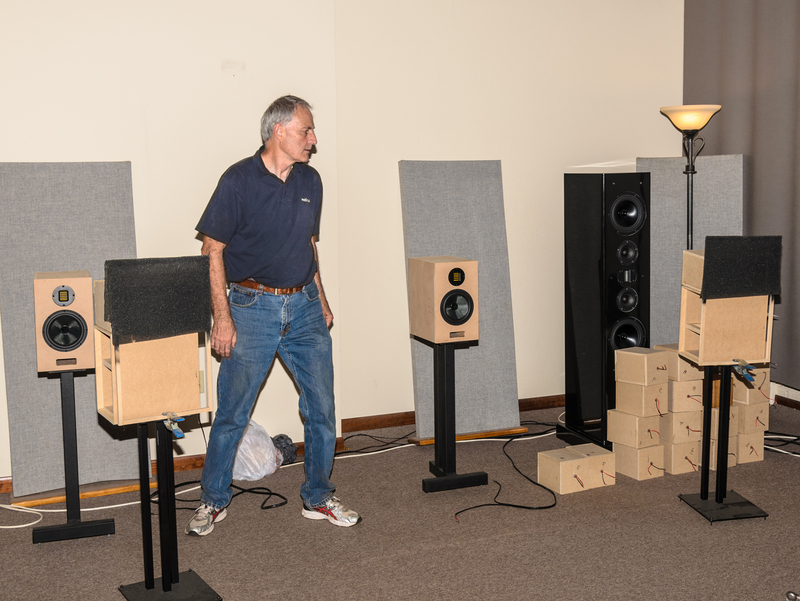 Mark, Joel and the rest of the Meniscus crew offered their listening room and property to host the event. Mark conducted a full range driver shootout on Friday evening ahead of the critical listening session on Saturday where 20+ designs were in attendance. Here is our coverage of the event. Please feel free to leave comments on our YouTube Channel and/or on any of the gallery pics. If this is your first time posting a picture comment on MAC, it will take a moment for the comment to be approved. Once your initial comment is approved, subsequent comments are automatically approved. Enjoy!! 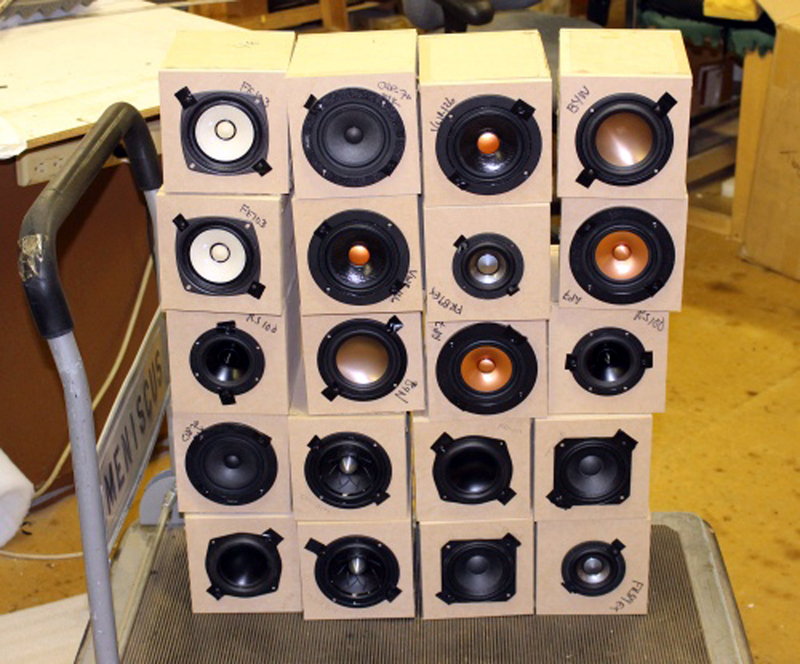 Full Range Shootout: Mark set up a blind test for 10 pair of wide/full range drivers. 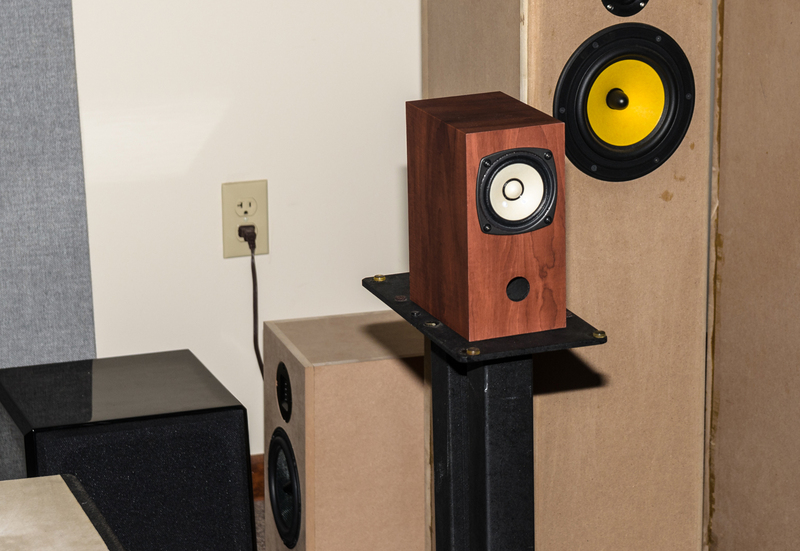 Audience members narrowed down the bunch to the Dayton RS100 and the Mark Audio Alpair 7. 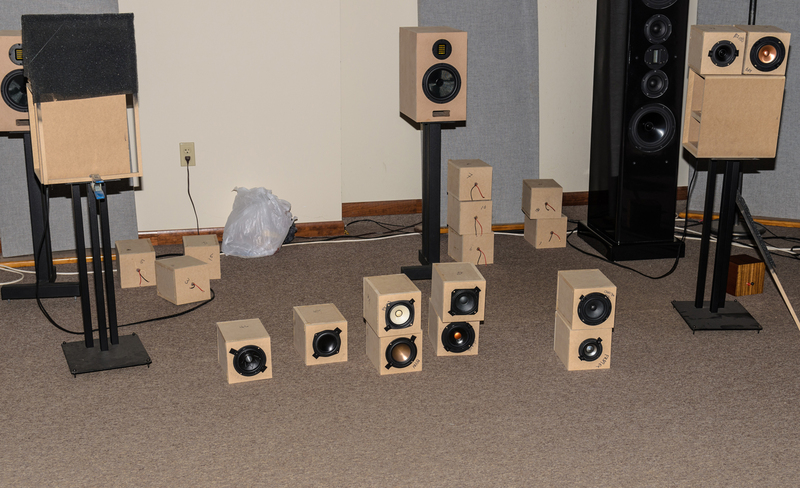 After tabulating the votes, the Mark Audio driver won the shootout. 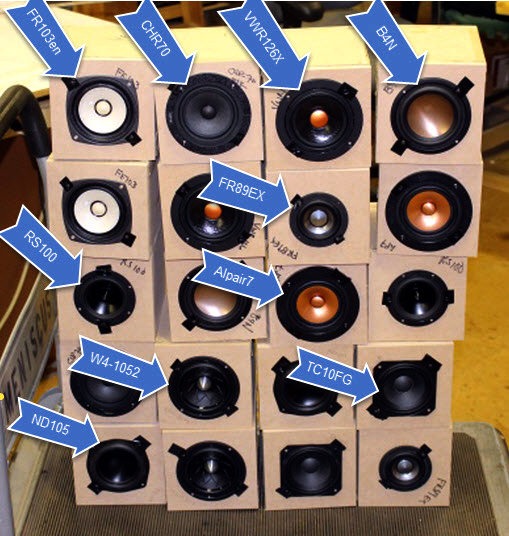 Speaker altitude/gravity test: Some lunchtime entertainment, courtesy of Mark. Statements II – SPL/excursion clip: The updated Statements II and a short clip showing some crazy SPL and excursion capabilities of this system. The brutal test track is Infected Mushroom – Saeed. Finally, this 9-minute clip is a listening room fly-by, shows some of the faces at the event and covers a few of the larger floor-standing systems towards the end of the show, where we really cranked up the volume. While we tried to cover every project that participated, if we missed anything or if you’d like to submit pictures for the gallery please drop us a line and we’ll host them here. Many thanks to Jim Holtz and Matt Vach for contributing their show pics — they’re great! !